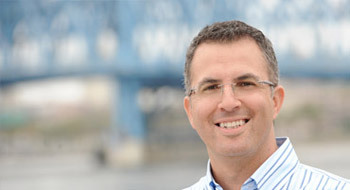 David ranked as a top-producing recruiter for two national executive search firms before developing his own management consulting and executive recruitment company, now known as Merit Consulting, Inc. 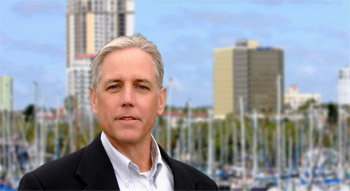 Previously, he was the Director of Environmental, Health and Safety for Allied Signal where he was integrally involved with management of engineering and operational improvements which led to recognition by the State of Florida for Corporate Advancement of Environmental Initiatives on privately held land. The bulk of David’s knowledge and experience is in manufacturing, specifically in the automotive and aerospace sector. Existing OEMs and new start-ups find him especially helpful securing engineering and operations talent for the electric and hybrid vehicle industry. His passion and experience is in understanding, and teaming with, stakeholders of mid to large public and private companies, and with Private Equity firms. David has a large network of talent who know how to grow through implementation use of Continuous Improvement initiatives He has placed hundreds of Presidents, Board Members, and C-suite talent, including their complete staff (from Manager to VP level) for key roles with companies located in the Americas, Europe and Asia. Throughout his executive search career, David has also successfully trained and developed numerous executive search professionals, and also writes and speaks at the local and national level on progressive methods used in the search industry to find, motivate and place top level talent. He earned his B.S. from the University of Florida in 1984. David and his wife, Diane, and their three children live in St. Johns, FL. Pat brings over seven years experience in executive search. He has successfully built relationships with numerous Fortune 500 organizations specializing in finance, accounting, equipment leasing, banking, sales and operations recruiting. He began his career managing and growing technology vendor relationships with Copelco Capital, a large equipment finance organization. Pat then joined a start-up leasing company, Captive Leasing Services, which managed Danka Office Imaging’s captive leasing program. For the last seven years, he has used his financial background to help grow several national executive search practices. Pat earned a Bachelors Degree in English from Montclair State University. Ted Tippins joined Merit Consulting with an impressive and strong professional recruiting background. He was a top producing executive for a National placement firm, The CSI Companies. While with the organization, Ted assisted in quick expansion efforts by growing the business from 4 cities to over 20 cities nationwide. Ted was promoted to Vice President of Sales and President of CSI Health, a division of The CSI Companies. Prior to his experience and growth with CSI, Ted was in the financial industry in Washington, DC with Ferris, Baker Watts, Inc. He earned his bachelors degree from Elon University where he played NCAA football for 2 years. Ted is a great complement to the executive search component of Merit Consulting, Inc. because of his knowledge and experience of the contract and temporary placement industry. Ted has proven experience building long term business relationships with Fortune 100 businesses, non-profit organizations, as well as growing start-ups. In 2012, Ted created a start-up division of Merit called Merit Staffing, LLC, where he serves as its President. With his understanding of the dynamics of the permanent and temporary staffing industry, Ted is developing additional contract staffing business in multiple industries and segments, such as Financial, IT, Health, Logistics and Manufacturing. Krishna has over 24 years of experience and expertise with IT recruitment and executive search. His specialty is with onsite/offshore IT resources/staffing, project management in Mobile Application Design/Development, E-commerce, Healthcare IT, Data Warehousing, SharePoint Solutions, Business Intelligence & Quality Testing area for various clients. As the top-producing IT recruiter at CSI Tech, Inc. (A division of The CSI Companies, Inc.) and Finch-Hatton Group, Krishna has a reputation of quickly finding and placing top talent. He has expertise in creating IT strategy, end-to-end roadmap, conducting readiness and strategic portfolio assessments, establishing performance measurement matrix, risk assessments, instituting governance framework, developing business cases and executing the deals. Krishna is adept at conducting onsite/offshore research and evaluation for any vendor/partner assessments. He has a proven track record in driving change by leading and supporting executive leadership to manage and measure ROI on important projects that affect a company’s bottom line. Krishna earned his B.S. and MBA degree from India in 1989. 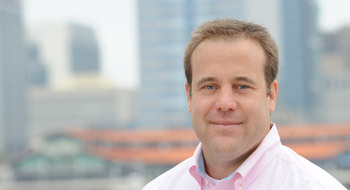 Mike Wilkinson joined Merit Consulting with a diverse background in healthcare and finance. 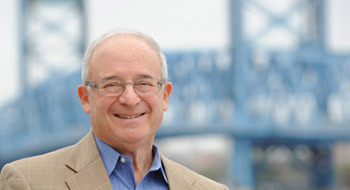 Mike spent 19 years with Fortune 100 companies selling medical equipment, medical devices and pharmaceuticals working for P.S.S., Quinton Instrument Company (a division of American Home Products, now Pfizer) and Schering-Plough (now Merck). With these companies, Mike consistently exceeded sales goals and earned multiple President Club honors, among other sales awards. Mike was also a sales trainer where his responsibilities included interviewing prospective sales representatives, training and mentoring. Mike focuses his time primarily in the pharmaceutical, medical device and manufacturing environment. He spearheaded the largest group search for Merit, a significant launch of a sales force for a Fortune 100 pharmaceutical client. Mike recruits for all verticals, mid to senior level, in the healthcare space, including but not limited to: Regulatory Affairs, Quality, Engineering, Marketing, Sales, Operations and other disciplines. Mike is actively involved in community affairs, and currently serves as a Commissioner for the Town of Belleair, located in the Tampa Bay area. Mike earned his B.S. in Marketing and Minor in Management from Jacksonville State University. 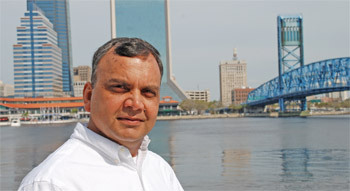 Art joined Merit Consulting in 2004, as Vice President, Executive Director, Partner. During the last 15 years, he has supported the senior level recruitment needs of many industries in the areas of Operations, Engineering, R&D, new product development, sales, marketing, finance and other functional areas. Art will continue to be associated with Merit Consulting, through AR Executive Search, LLC. Art has extensive hands-on knowledge in the areas of technology, operations, marketing, engineering and management recruiting, gained from his 35 years of industrial experience. His technical expertise includes polymers, coatings, adhesives, sealants, polymer processing, plastics, specialty chemicals, and steel fabrication. He has provided search services to many industries including industrial, pharmaceutical, medical device and biotechnology, and contract research organizations. Prior to joining Merit Consulting, Art was the Vice President of Technology-Worldwide at Day International, Director of Technology for Saint Gobain Performance Plastics Div. of Companie de St. Gobain, one of the world's largest companies. Prior to joining Saint Gobain, Art served as Vice President of Operations and Technology at Electrocal; Director of Technology at Permacel, Nitto Denko; Vice President of Research and Development at Rexam Release; and Vice President, Corporate Development and Technology at Mortell Company. He holds five patents in mechanical design and chemical products. Art holds a B.S. degree in Chemistry from LaSalle University, Philadelphia, along with graduate work in Chemistry, and earned his MBA from Loyola University of Chicago in 1983. He is an active member of the American Chemical Society.